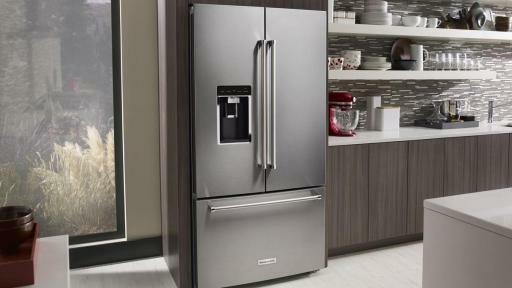 KitchenAid is unveiling a new, three-door free standing refrigerator that is the largest capacity refrigerator in its class*. 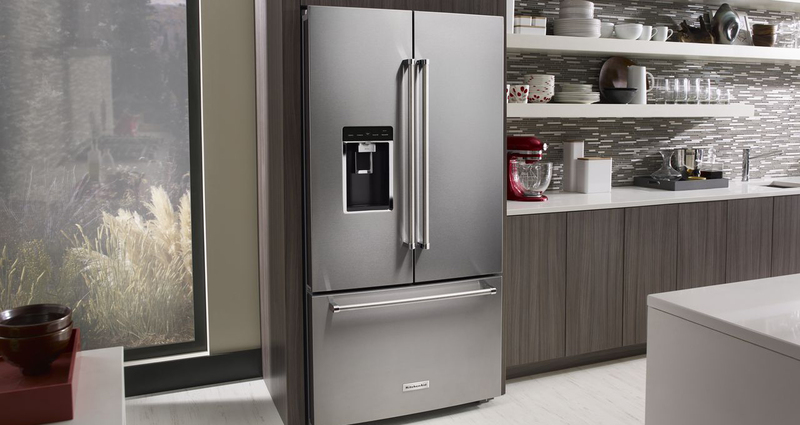 Available in three models, the 72’’ Counter-Depth French Door Bottom Mount refrigerator features a slide-away split shelf that allows three quarters of the shelf to retract to accommodate taller items, up to 16.75 inches. 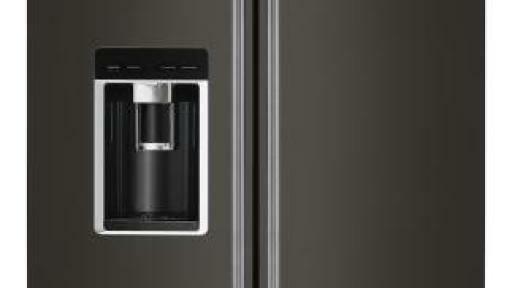 The new addition will also include the first ever self-close freezer drawer in its class**. 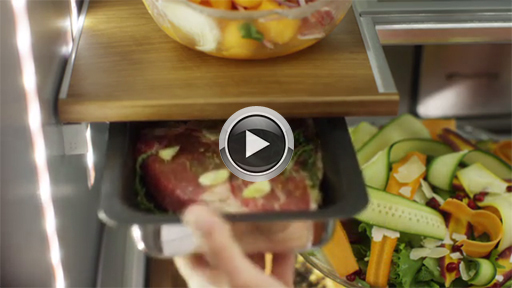 Additional internal features on select models include an under-shelf prep zone with removable oven safe pan ideal for setting dough or marinating meats. 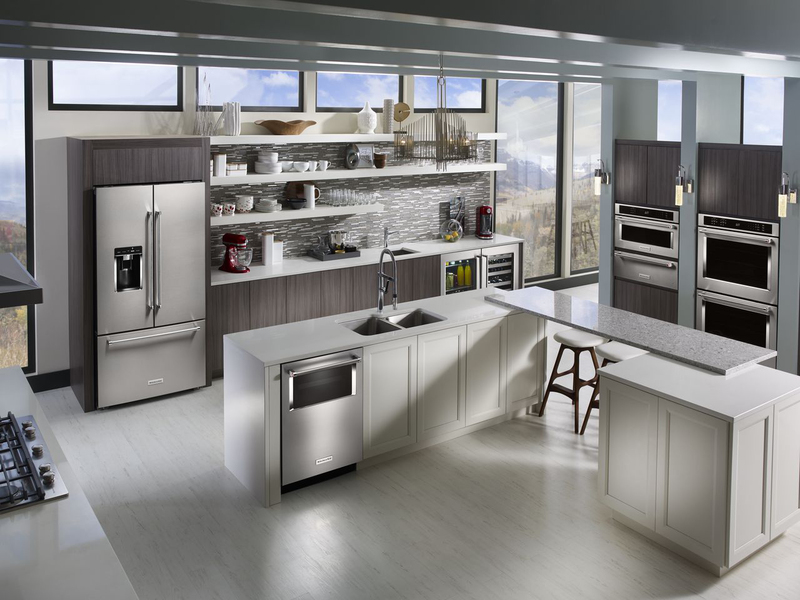 A Platinum interior design with premium wood accents is stain resistant and helps mask dirt while showcasing ingredients beautifully. External features include the brand’s PrintShield™ Finish that resists against smudges and fingerprints. 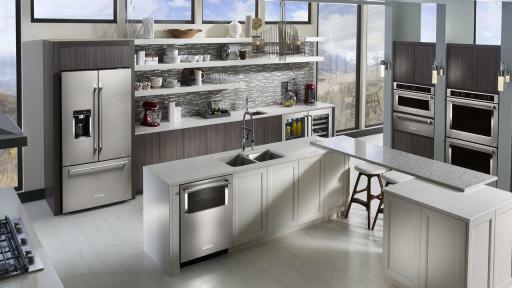 The specialized coating for stainless steel is easy to clean with just water and a towel. To help keep produce at its peak of freshness, the full extension self-close FreshSeal™ crispers drawers maintain optimal humidity levels, with brightly lit drawers that open fully for easy viewing and access to all items within. In addition, a temperature controlled pantry features four pre-sets for customizing temperature for meat and fish, cold drinks, deli items and wine. 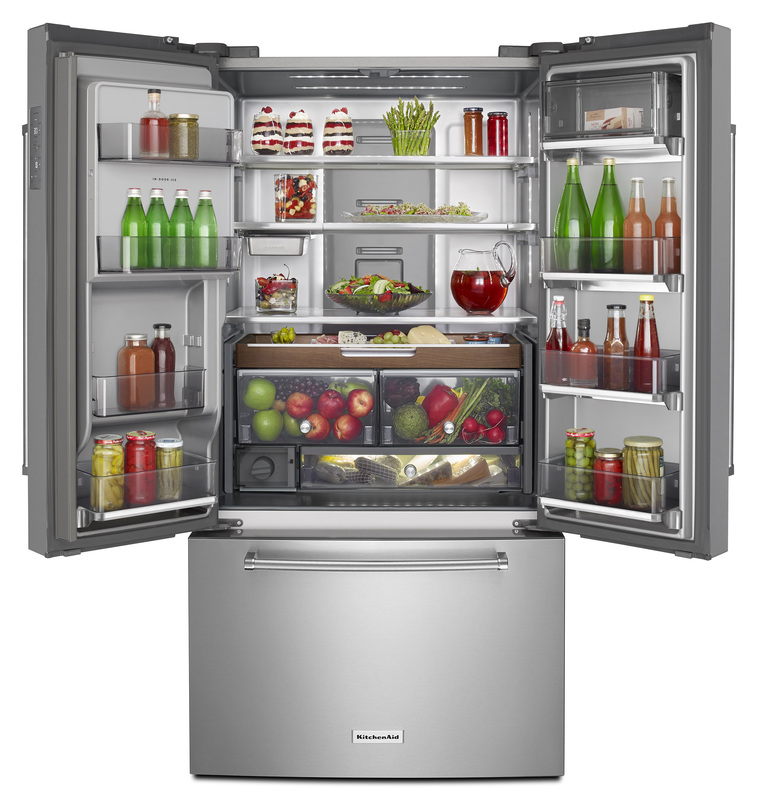 The KitchenAid brand's Preserva® Food Care System provides the height of food preservation with independent cooling systems for the refrigerator and freezer plus a Produce Preserver to help keep fruits and vegetables at peak freshness. 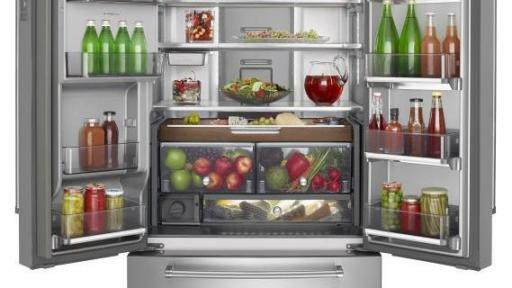 An advanced Linear Compressor offers minimal temperature variations and super efficient cooling, making this the brand's quietest free standing refrigerator to date. 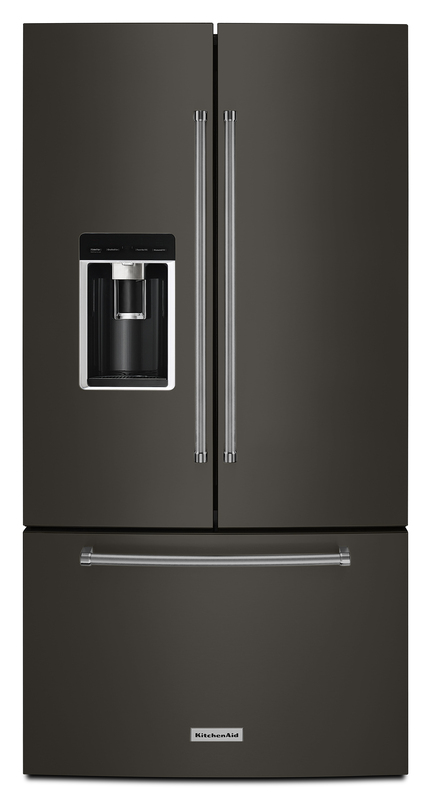 Scheduled for availability in August, the new three-door Refrigerator will be offered in three models with varying features in Stainless Steel, PrintShield™, and the brand’s popular Black Stainless finish. Suggested retail prices will range from $3,999 to $4,399. *Among leading 3-door counter depth French door bottom mount brands.